High blood pressure, also known as hypertension, is a serious in which your blood pressure increases due to the obstruction of blood flow in your blood vessels or arteries. High blood pressure often called a silent killer that can lead to heart attacks, strokes and kidney failure. A blood pressure reading of 140/90 mm Hg or above is considered high. Common causes or contributing factors of hypertension are obesity, genetic factors, lack of aerobic exercise, high salt and alcohol intake, lifestyle, stress, birth control pills, abnormal blood vessels, pain relievers, thyroid diseases, kidney disease, and adrenal disease. In many cases, hypertension does not cause any symptoms until it causes complications such as heart attack and stroke and plays a role of silent killer in the body. So it is important to realize that you may have high blood pressure and only way to find it out that get your blood pressure checked at regular intervals. There are many symptoms that result in this health problem, some of them are Headache, Blurred vision, Vomiting, Nausea, Dizziness, Fatigue ,Shortness of breath Chest pain, Frequent urination and Nervous tension. 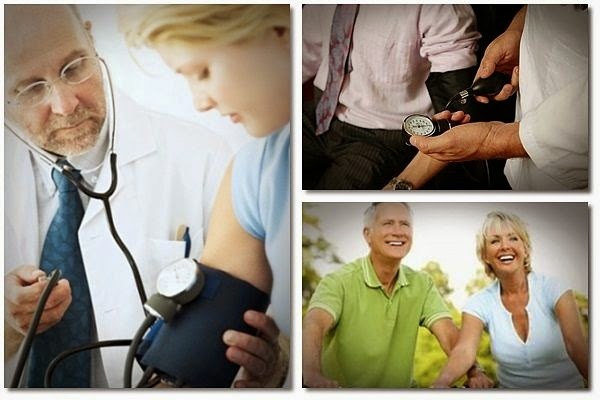 Though there are many medicines that are prescribed to control hypertension. But there are many simple natural home remedies that can help you prevent and control high blood pressure. Here are some natural home remedies one can use with to help lower blood pressure and prevent diseases that it can cause. Make a fine powder of 50 gm Rauwolfia / Indian Snake Root (Choti Chandan / Asraul) and save in a vessel. Soak ½ tsp/3 gm in a glass of hot water overnight next morning strain and drink on an empty stomach daily until required results. Rauvolfia Serpentine commonly called as Indian Snakeroot or Sarpagandha is a great medicine to treat high blood pressure. This herb acts directly on the heart and is used to treat high BP. Mix 5 drops of pure Nigella seeds (Kalonji) oil and 1 tbs of pure Honey in a glass of plain water and drink on an empty stomach daily until required results. This is a highly beneficial and trial prescription to treat high BP. Soak 1 tsp coarsely pounded Fennel 1 tsp Dried Mint and 2 Dried Prune (Aloo Bukhara) in a glass of hot water overnight next morning strain and drink on an empty stomach daily until required results. It is the most effective and natural way to control hypertension without any side effects. Make a fine powder each of 25 gm Sandal wood sawdust, 25 gm Coriander seeds and 25 gm China root (Chob Chini) save in a vessel. Take ½ tsp/3 gm along with Goat Milk. This is a highly beneficial and trial treatise for hypertension. Make a fine powder of 50 gm Rauwolfia / Indian Snake Root (Choti Chandan / Asraul) 25 gm Coriander seeds and 10 gm Poppy seeds save in a vessel. Take 1 tbs along with water before go to bed. It is a most effective & magical remedy to cure high BP completely. Make a fine powder of 50 gm Fenugreek seeds, and 50 gm Black Cardamoms and save in a vessel. Take 1 tbs along with water after any meal once a day. This natural remedy will be quite beneficial for controlling high BP. Make a fine powder of 6 gm Rauwolfia / Indian Snake Root (Choti Chandan / Asraul), 6 gm Henbane (Ajwain Khurasani), 10 gm French Lavender (Ustukuddus) and 10 gm Turpeth root (Turbad Sufed) save in a vessel. Take 1/3 tsp of this powder mix 2 drops of pure Nigella seeds (Kalonji) oil and consume along with water once in morning and once in evening. It is the most effective natural remedy for chronic and uncontrolled high BP. Make a fine powder of 10 gm Cinnamon, and 10 gm green Cardamoms and save in a vessel. Take 100 mg thrice a day daily for 3 months. This is another instant and effective natural remedy to get rid of hypertension. Take 4-5 leaves of Basil and 2-3 leaves of Neem (Margosa) and grind them with 4 tbs of water. Take this ground mixture on an empty stomach along with a glass of water. Another effective remedy is to mix basil juice and honey in equal amounts and have it on an empty stomach daily. This natural remedy is highly effective for treating hypertension. Make a fine powder of 50 gm Rauwolfia / Indian Snake Root (Choti Chandan / Asraul) and 50 gm Root of Jatamansi / Spikenard (Sumbal Tayyab) save in a vessel. Take 125 mg. 3 times daily for 2 – 3 months. Jatamansi is beneficial in hypertension, because it helps protect the arteries from free radical damage. . By counteracting the arterial damage, jatamansi helps prevent atherosclerosis before it begins. This herb also has a deeply calming effect on mind and body and is good for psychological stress. Any reduction of stress hormone production will have a protective effect on blood vessels since these hormones damage artery walls. Mix well ½ tsp Nutmeg powder (Jaifal) in a cup of hot boiling Milk and Sugar to taste and drink while hot. Nutmeg and hot milk are natural sedatives that will help you sleep. This works very quickly in the treatment of hypertension. Put in a blender 3-4 Garlic cloves, 10-12 Basil leaves, ½ cup of freshly cut wheatgrass strain and drink once a day. This is a 99% trial and natural treatment of hypertension. Take ¼ tsp Indian ginseng/Ashwagandha (Asgand Nagori) powder with a glass of hot milk daily. Stress is one of the main culprits of high blood pressure; overproduction of stress hormones such as cortisol, can lead to high blood pressure, and also to weight gain, fatigue, depression and anxiety. Ashwagandha helps to balance mind and body, create greater inner calmness and increase your ability to cope with stress. This in turn decreases the level of stress hormones circulating in your body and lower blood pressure. Make a fine powder of 10 gm Vetivert (Cuscus grass / Khus Khus), 10 gm dried Watermelon seeds and save in a vessel. Take 1 tsp along with water once in morning and once in evening for 3-4 weeks. Dried and roasted seeds of watermelon also serve to reduce blood pressure by dilating the blood vessels. Mix 1 tbs honey, 1 tbs ginger (adrak) juice and 1 tbs cumin powder. Have twice a day. This is another fastest natural remedy to control high BP. Take 1 tbsp of Emblica gooseberry (amla) juice with 1 tsp of Honey on an empty stomach early in the morning. Gooseberry also serves to keep blood pressure under control. Boil a stalk of Celery and a bunch of Coriander, together with the stalk and roots, with 8 glasses of water. Drink daily coriander and celery water made from fresh coriander and celery 3 times a day meant to replace plain water. Celery contains a chemical that lowers pressure too. White onion is the most powerful medicine for blood pressure. However, if white onion is not available, normal onions can be used. Mix 1 teaspoon of onion juice with an equal amount of honey and takes once a day for one week. Upon noticing improvement, continue for several more days. Onion juice reduces cholesterol and works as a tonic for nervous system. It cleans blood, helps digestive system, cures insomnia and regulates the heart action. Honey soothes the nerves and is also helpful in lowering the high blood pressure. Boil 2-3 cloves of organic garlic and in a cup of milk for a few minutes until the garlic gets cooked well. Now consume both the garlic and the milk twice daily. Garlic helps to control blood pressure in the body and providing a good health to the heart. Soak 1tsp Fenugreek seed in hot boiling water overnight night and strain munch them early in the morning on empty stomach. It will reduce your cholesterol and excess fats. Or boil 2-3 tbs of fenugreek seeds for 2 minutes in water strain and blend them into a fine paste. Eat one tablespoon of this paste early in the morning on empty stomach and in the evening respectively. Continue for two or three months to control and lower your blood pressure level. Fenugreek seeds taken regularly are found to help in stabilizing blood pressure. Drinking curry leaves (curry patta) juice twice a day for 1-2 months on an empty stomach is found beneficial. For preparing the juice grind washed 30 to 40 grams of curry leaves in a mixer with about one glass water. Sieve and add 1 lemon juice and drink fresh. Alternatively you can boil the curry leaves in water and let it cool. Drink the cool, curry leave juice on an empty stomach for best results. Dry Radish ( Mooli) leaves as required under shade after grinding add equal quantity of Sugar/Rock candy (or unrefined sugar). Eat 6 gm along with fresh water for 40 days daily or until required results. Radish has antihypertensive effects according to a study the ethyl acetate content in the leaves of radish helps in this exact activity. And prolonged use of the leaves helped keep one’s blood pressure in control. Similarly drinking Radish juice twice a day is a common remedy for blood pressure. Start off with ¼ cup and gradually increase it to half a cup, twice a day. Radish contains high amount of potassium. Sodium causes water retention and increases blood pressure, while potassium is a diuretic and lowers one’s blood pressure. Boil 150 gm peeled and sliced Bottle Gourd (Lauki) in ½ liter water on a low flame until fully cooked let it cool. Strain and drink this juice on empty stomach in the morning for 5 or 6 days. Don’t eat or drink anything for an hour after that. Add ½ teaspoon of Turmeric to a glass of hot boiling Milk. Drink this mixture before going to bed. Turmeric significantly decreases inflammation throughout the body, which is a primary cause of high cholesterol and even high blood pressure. By actively reducing inflammation, turmeric helps improve cardiovascular function and maintain healthy blood flow. Turmeric is a powerhouse at loosening up blood vessels and clearing the buildup that often leads to high blood pressure. Turmeric is also a natural blood thinner, which is another way this powerful herb aids in the fight against hypertension.